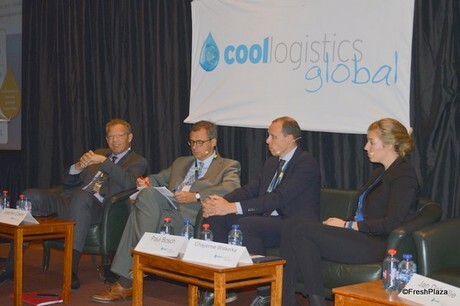 There was a good turnout at the first day of the Cool Logistics Global Conference in Brugge on Tuesday 29th September, The event was moderated by Thomas Eskesen, formerly from Maersk, who now has his own advisory business. 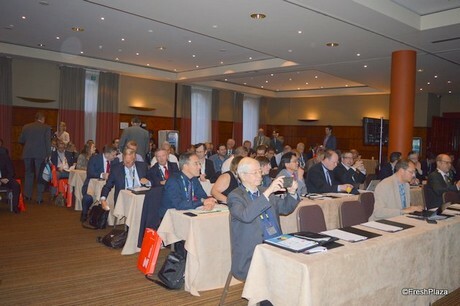 The various speakers included Joachim Coens - Port of Zeebrugge, Paul Bosch - Rabobank, Chayenne Wiskereke - Wiskerke Onions and Nigel Jenney - FPC and Alexis Michel - CMA CGM. The general picture seemed to be that the logistics industry is not as bad as some may think. There was much talk of how important technology is becoming to the cool chain, with real time trackers and apps playing a big role. The pros and cons of slow shipping were also discussed as well as the up and coming markets. Joachin Coens, CEO Port of Zeebrugge said that there was a change in purchasing power in the developing markets in Asia and Africa, where as the UK was looking for more quality but also impose more regulations. How can ports facilitate this? He expects big hubs as well as niche markets to be important. Chayenne Wiskerke, Managing Director of Wiskerke Onions explained how important it is to keep in-touch with the importers and keep them informed as to the whereabouts of the product. Knowing which markets are ready to take the product is also important. Nigel Jenney from the Fresh Produce Consortium asked shippers to think about what was in the containers they ship, is it really good to keep fresh produce on the water for 3-4 extra days? He added that in England it takes far too long to get produce off the ships and to the final destination. 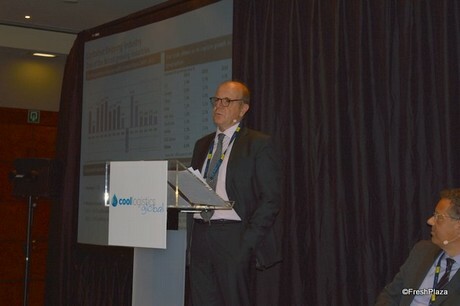 Alexis Michel, Group Logistics and Reefer VP at CMA CGM spoke about an imbalance between supply and demand, changing markets the fact that container shipping is one of the fastest growing sectors. FreshPlaza will publish a series of articles from the conference in the coming days. 2018-12-24 FreshPlaza wishes you a Happy Christmas! 2016-12-23 Merry Christmas and a Happy New Year! 2016-11-11 Would a change to NAFTA impact the fresh produce industry?